Steal all the stares this season in this totally fierce jacket. 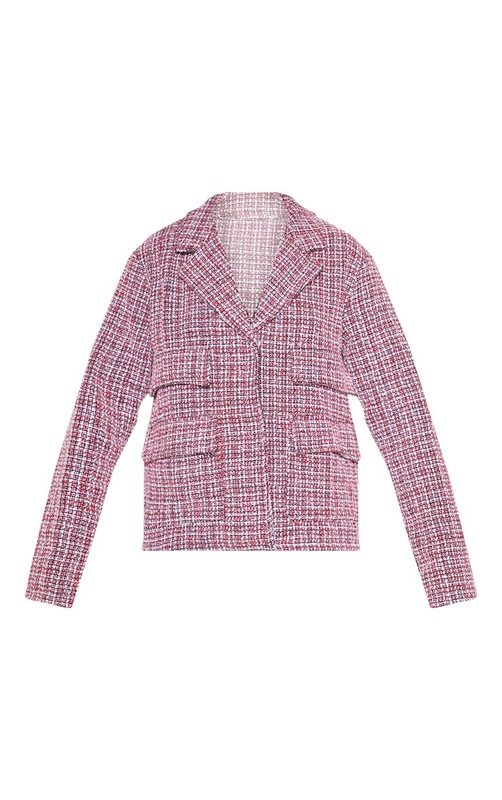 Featuring a red boucle material with a tartan print design and a button detail. Team this jacket with a slogan tee and the matching skirt for a look we are loving.